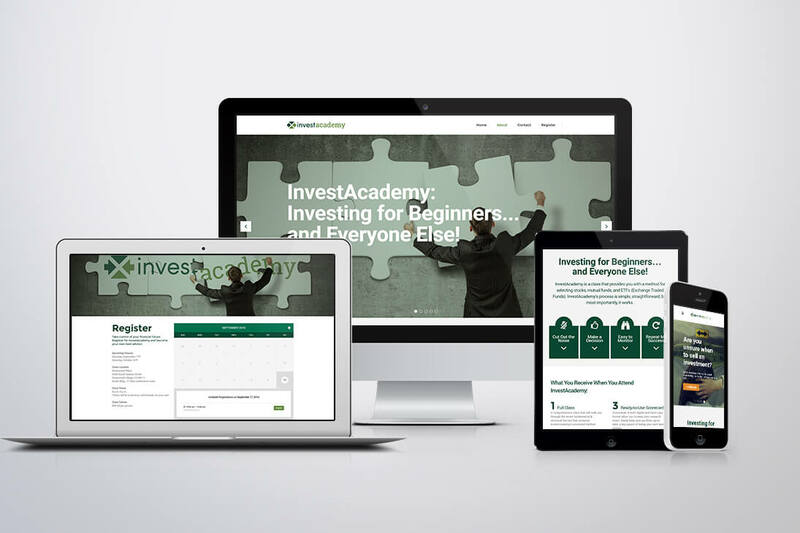 As part of the re-branding overhaul of Praxis Advisory Group, Inc., Letter 13 Creative was also charged with creating their sub-brand's website: InvestAcademy. 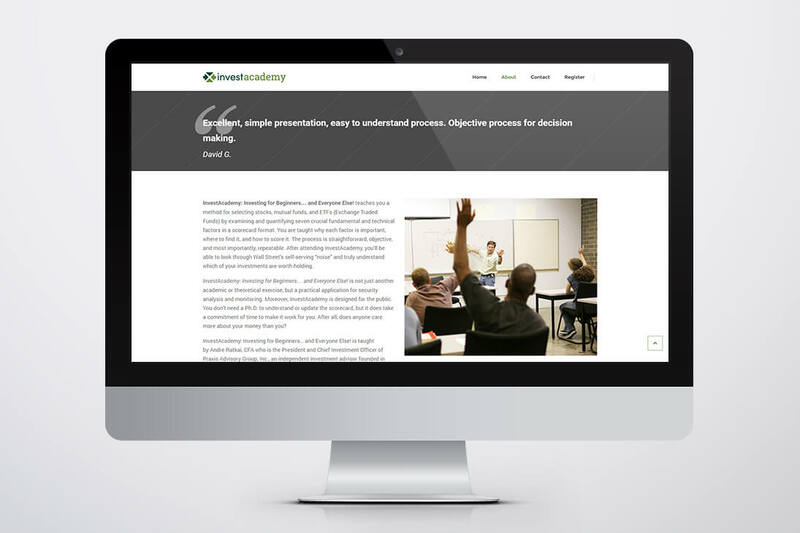 InvestAcademy is a separate service from Praxis that offers adult education courses on portfolio self-management. 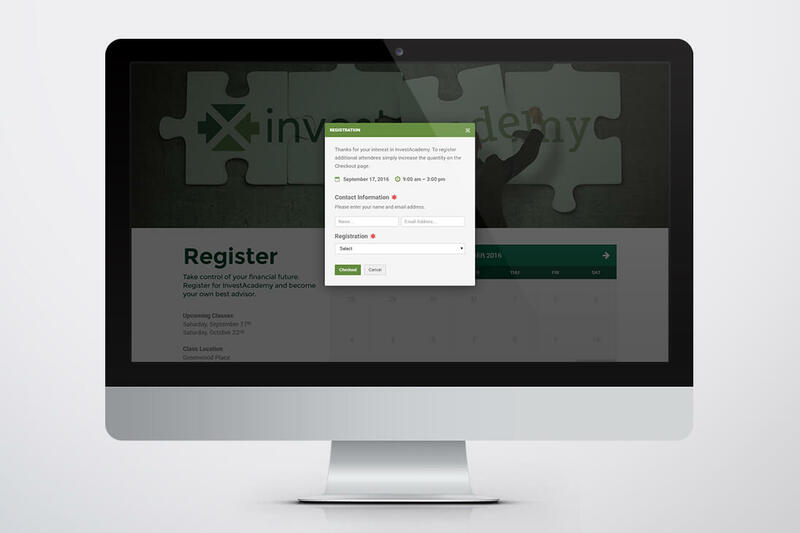 Several InvestAcademy classes are offered a year, the website serves as an informational and registration portal to sign up for the classes. The user interface was designed for a smooth and easily accessible experience. Information is prominently displayed with more details the further users drill down. All visual elements are designed to compliment Praxis Advisory's brand. 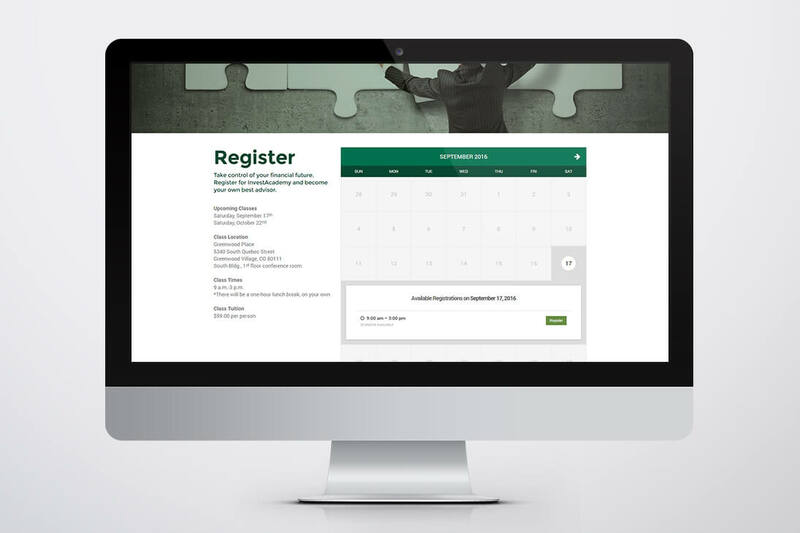 Simple eCommerce features allow users to choose a class of their choice and pay for the registration in one step.